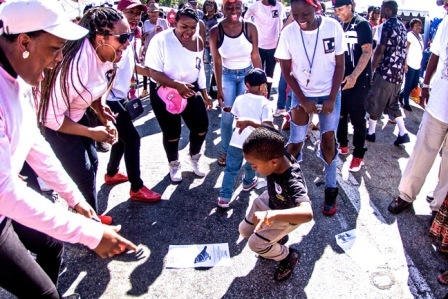 Every October, as the number of people who line Crenshaw Boulevard for the Taste of Soul grows larger, the sentiment among those who put it together is the same. It’s something like, “I never thought it would become this huge… this phenomenal.” 2017 marks the 12th year since the staff meeting at the Sentinel office on Crenshaw, where the idea for TOS began to become a reality. “Taste of Soul has grown into the greatest demonstration of all that is possible for and within our community when we collectively pull our time, resources, and talents for the betterment of all,” said TOS Founder/Creator and Sentinel Exec­utive Publisher Danny Bakewell Sr. 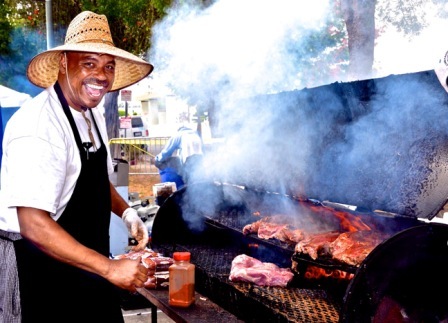 Vendors surrounding the Cren­shaw community were taken with the idea from the beginning and they came out in droves, with steaming pots of gumbo, grills with barbecued everything, fryers filled with fish, chicken and shrimp and desserts from funnel cakes to cobblers. Wesson, who has served as a longtime chair, has been a TOS staple since the beginning. “I live for [TOS] every year,” Wesson said. 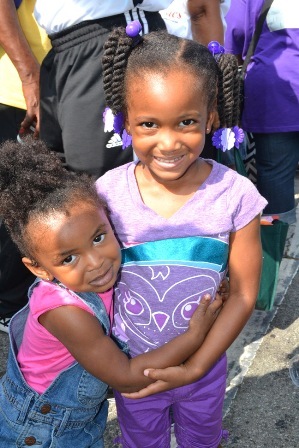 “A block party like no other, Taste of Soul is a rousing celebration of community and culture, family and fellowship,” Los Angeles County Board of Supervisors Chairman Mark Ridley-Thomas, another TOS staple, said. 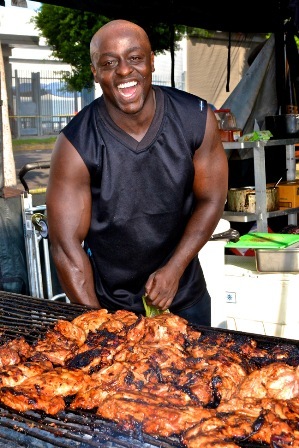 Through the years, vendors like Harold and Belles (recently featured on Food Network’s Diners, Drive Ins and Dives), Glory Foods and Orlean’s and York have participated in the festivities. There has been no shortage of quality entertainment and notable celebs who have wanted to take part. TOS has seen the likes of Eric Benet, Al B. Sure, Tyrese Gibson, Cedric “The Entertainer and Queen Latifah. Politicians from communities around Los Angeles County, the State of California and from Congress have also shown up. “Everybody comes out to now what is the biggest event in Los Angeles in any neighborhood,” declared Mayor Eric Garcetti at last year’s TOS. 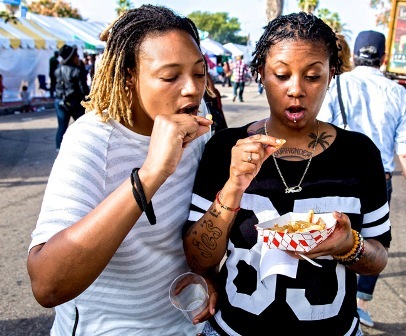 “Taste of Soul is our premiere block party and community event in the South L.A. area that has happened in a generation,” said Congresswoman Karen Bass. The festival has spawned other entities like the Taste of Soul Cookbook, the TOS scholarship, which has provided thousands of dollars for educational funding and the StarQuest talent competition, which so far, has given some local entertainment industry hopefuls a shot at their dreams. It has attracted large media outlets like NBC, CBS, ABC and FOX. The concerts have also evolved, giving audiences phenomenal shows from the KJLH, 94.7 THEWAVE and McDonald’s Gospel stages. Along with our vendors and politicians, major corporate sponsors like South Coast Air Quality Management District, Metro, Bank of America, McDonald’s and Kaiser Permanente who have understood the enormity and significance of an event like TOS, have also become festival staples throughout the years. “Our corporate partners understand the collective power that the Taste of Soul Nation has become,” said Bakewell Sr. This year’s Taste of Soul looks to be bigger and better than ever, according to event officials. “With radio partners KJLH and 94.7 The Wave pulling together first class entertainment, the McDonald’s GospelFest and the TOS StarQuest Stage returning, this year’s event is setting up to be the best Taste of Soul ever,” they said.